This is an affiliate post. What that means is if you join this bookmaker through my link, your account is linked under my name. Every month the affiliate will work out how everyone who I referred has done and if they have made a profit from them I will receive a cut (25%) of that profit. I’m sure you see banner ads on every other site you visit. I do not advertise bookies apart from one offs like this and only when I feel it is in your interest to hear about it. Madbookie is a new Aussie bookie who have a pretty interesting story. They noticed that a lot of their mates who bet a fair bit (and usually lost) were being limited by the big guys after going on small losing runs. They might have lost a few hundred thousand to a bookie, but if they happened to claw $50k of that back over a weekend, they were banned. I’ve talked about how stupid the current crop of corporates are, their main metric is short term profit. 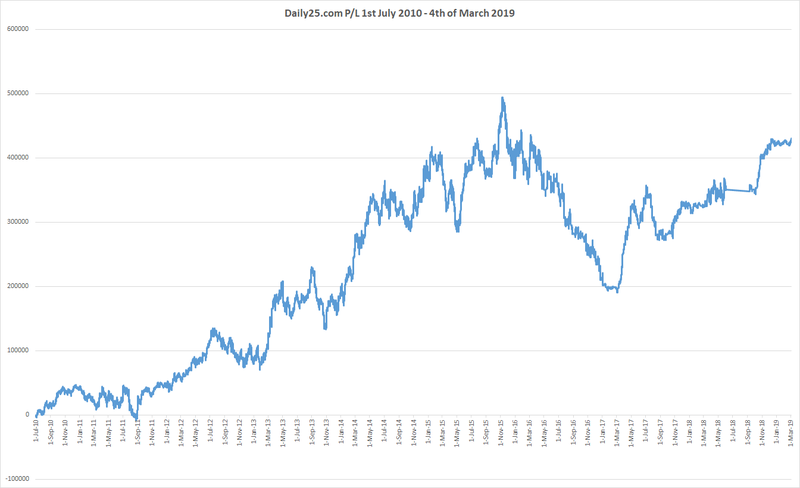 It seems they don’t care if they would have made $100’s of thousands from these punters over the next few years, if they affected the short term profit, they were gone. When you give employees an incentive based on short term results, this is what happens. The guys at Madbookie decided to get together and allow these sort of punters to bet. They decided to do exactly the opposite of what William Hill, Sportsbet and Ladbrokes do, they decided to become bookmakers. They started small with about 40 guys who they knew liked to bet big but couldn’t get bets on anymore and over the last few months have grown to having a few thousand customers. I’ve been with them for a few months and they have been taking my bets. I thought I would be limited very quickly as I have been conditioned to just accept that I can’t place a bet with an Aussie bookie. So last week I tried a small $1,000 bet on the AFL and it was accepted, I deposited again and tried $2,000 on the same bet and that was taken too. I’ve requested a number of withdrawals now and they have all been paid quickly. I’ve been told they have been taking some very sizeable bets from others as well. As we all know, if something sounds too good to be true, it usually is. I called up Madbookie and asked a number of questions, mostly around how they go about limiting winners. I was told that instead of simply banning you, they will call you and let you know what limits you can bet too, if you’re betting days in advance they will likely give you a call, but if you are betting on the day of the race or event, it’s likely they will take very big bets. The odds are also on par with all the corporates. For this week only (been extended till end of September), they are really going Mad (see what I did there). They have a 120% bonus up to $1,200. So deposit $1,000 and get a $1,200 bonus. You can deposit smaller amounts and get a 120% bonus on that too. As they are still new, they have to offer these sort of incentives to get people in the door, they also offer a heap of promos each week. Another cool little thing they do is give you back a bit of you have had a losing week. On Mondays you might see a freebet in your account if you have not done well that week. I’ve also heard about them sending cases of beers to members and other goodies. By signing up under me, you could potentially help me financially, but you also know that I will go into bat for you if there is a problem with your account. If they stop taking bets, or start limiting or banning people, I will happily tell everyone about it. But I also like to give new bookies a chance to show they are different. They also are happy to accept International customers and give the bonus. If you do not have an Australian bank account, you will need to request a payout via support and there is a $30 AUD fee for International withdrawals. So if you want to try a new bookie this week and get a huge bonus. Sign up using this link. Hi Steve, I’m interested in signing up through your link. Do you have any terms and conditions available for the bonus? When I go through to the website it just shows a deposit $50 bet with $200 promotion. Hey Edward, they would be the same as the main offer. 3x turnover on anything won from the bonus bet and I believe min $1.50 odds. Steve, what are the chances of you convincing the kind folk at MadBookie to also offer those of us who have already signed up with them some kind of deposit bonus? 0%. It is a sign up offer. So the same chances as asking any other bookmaker. I assume it excludes most states? Ok, I’d like to think you won’t make much by me signing up, but I dont want to depos 1k at what looks like pedestrian odds if it’s no bonus for any state except Tas and Qld. i am from macedonia. does this bonus apply for macedonian citizens? 3x turnover min 1.5 odds sounds too easy to be true.. can you please confirm? as long as it is in the drop down menu you will be able to join. It is an amazing offer. Hi guys, did anybody who is not from australia tried just to grab bonus? was everything fine? withdrawal without problems? thanks for replies! Hi Steve, I joined up to Madbookie through your link, mainly because you said that you’d go into bat for us if anything occurred. I also received the bonus and have had a reasonable run with this bookie. However today I received an email that included this below. What are your thoughts? “With this in mind, we have decided to exclude you from participating in promotional matches until we see this pattern change. Generally we expect more than 50% of bets and more than 50% of your turnover to be on matches not related to promotions. You are welcome for the moment to continue betting with Mad Bookie if you wish to do so, but no bonus promotions will be allocated. A lot of members have been promo banned. I’m happy to say between this site and dailyprofit we have taken almost half a million from madbookie. A very generous donation to all our punting banks. What would you like me to do in this situation? 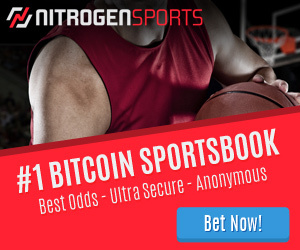 I have been talking to Brett(madbookie) and he said accounts that only took bonuses and rarely bet on other markets were limited, like all books they use promos to get customers back to the site in the hopes of getting those customers to continue betting. I’ve had about 5 people say they have been promo banned from Dailyprofit (I’m sure there are more), but the one’s that followed instructions of putting in effort to keep accounts open have seen their bonus eligibility remain intact. All my dealings with Madbookie have been amazing and if they say they will unban you from promos if you start betting then I guess that is now in your hands. If you wanted to you should bet normally with them, and email them after a month of betting asking them to unban you. Also email their support if you like, to see exactly what they expect of you. Thanks for the reply, I wasn’t wanting you to do anything, it was more of informing you about being promo banned by them, and seeing if you had any thoughts or ideas. I don’t really mind being banned from promos, although I like your idea of calling them and asking if they had any expectations. It’s a little difficult with Madbookie as their prices are generally lower on any Dailyprofit/sportpunter picks. This is probably because lots of their clients use one of the services. So placing bets on non promo games you are usually getting less odds on the selections (unless you are backing against them, then I’m sure they would have good prices). I withdrew around 80% of my funds and had no problems with that, so I’ll probably check their odds and try to place some bets their when I can from time to time. the easiest I have found is to back and lay horses close to the off.. Should be able to turn over funds for almost zero loss.